They shall grow not old as we that are left grow old, age shall not weary them nor the years condemn, at the going down of the sun and in the morning we will remember them. The Commonwealth Graves Cemetary in Ambon is green oasis in the busy town of Ambon, carefully maintained in honour of our fallen soldiers, sailors and airmen, a visit here is a deeply moving experience. After the fall of Ambon in February 1942, a former Dutch army camp on the island was used to hold Australian, American and Dutch prisoners of war, captured during the invasion. The recently published book Ambon by Roger Maynard tells the story of the Australian 2/21 Battalion known as Gull Force sent to defend Ambon from the expected Japanese invasion. 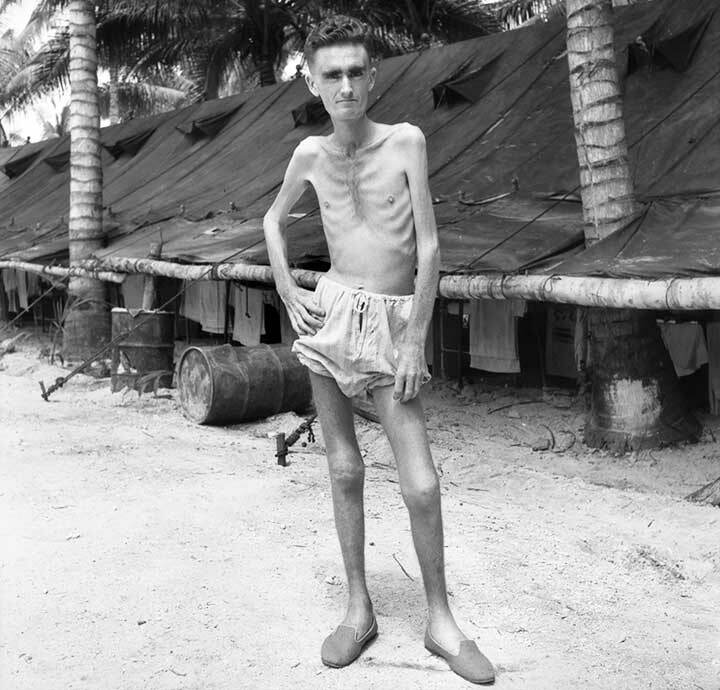 This Japanese prisoner of war camp had the highest death rate of any similar camp during the war. With food reduced to starvation levels combined with forced labour, the death toll soared in 1945. By the time of the Japanese capitulation only 123 of the 532 Australians left on Ambon in late 1942 remained alive. It was one of the highest death tolls that Australians experienced in captivity and many of these survivors would continue to suffer the effects of their long ordeal. 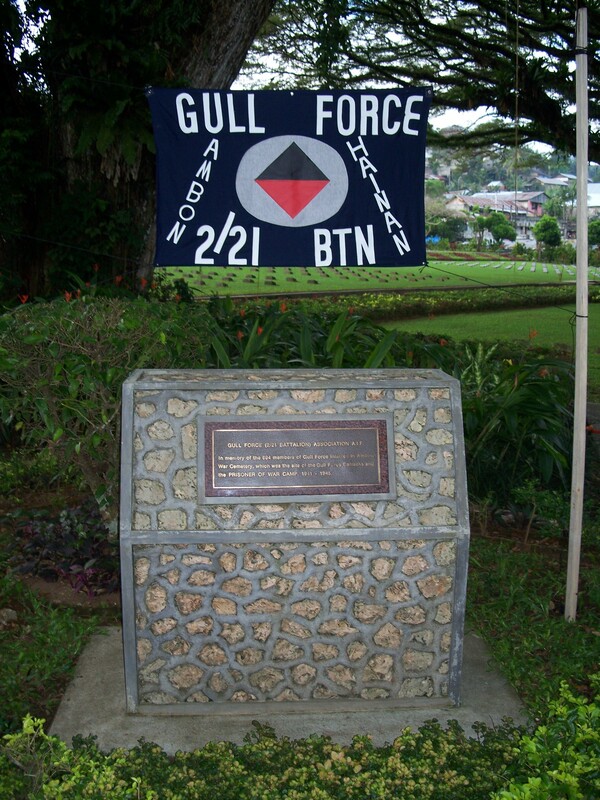 The Gull Force Associaton conducts a pilgrimage to Ambon every year to coincide with Anzac Day, where a service is held at the Tantui War Cemetery with full military support. The War Cemetery was constructed on the site of this camp (known as Tantui) after the war. 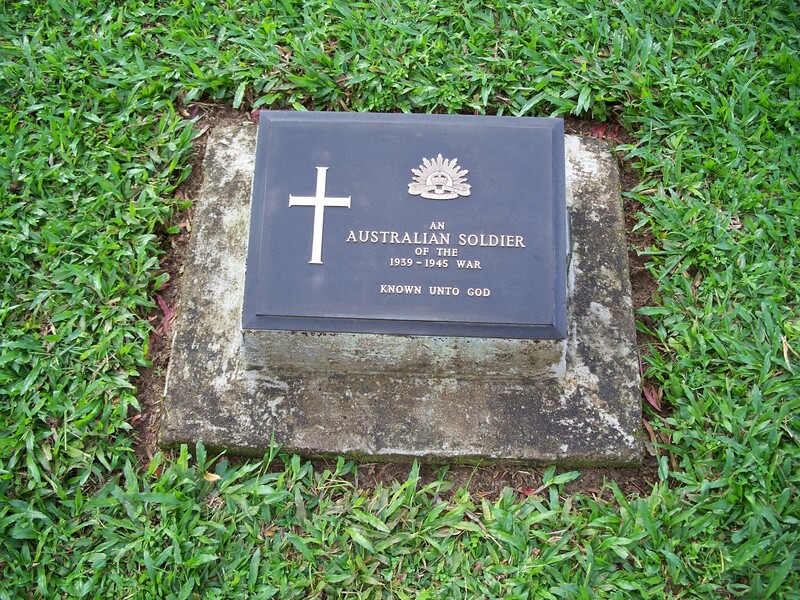 The cemetery contains Australian soldiers who died during the Japanese invasion of Ambon and Timor, plus those who died in captivity in one of the many camps constructed by the Japanese on the Moluccas Islands, including many British prisoners who were transferred from Java to the islands in April 1943. Soon after the war, the remains of prisoners of war from Haruku and other camps on the island were removed to Ambon and in 1961, at the request of the Indonesian Government, the remains of 503 graves in Makassar War Cemetery on the island of Celebes were added to the cemetery. The total number of graves in the cemetery is over 2,000. Of this total over half are Australians, of whom about 350 belonged to the 2/21st Australian Infantry Battalion. Most of the 800 British casualties belonged to the Royal Navy and Royal Air Force; nearly all the naval dead were originally buried at Makassar. The cemetery is laid out in a series of terraces approached by short flights of steps on the central axis. The Ambon Memorial, which is in the form of a shelter, stands on the first terrace. It commemorates over 450 Australian soldiers and airmen who died in the region of Celebes and the Molucca Islands and have no known grave. The Cross of Sacrifice stands on the highest terrace in a wide expanse of lawn; the terrace below it contains most of the burials from Makassar. All the graves are marked with bronze plaques mounted on concrete pedestals and set in level turf. 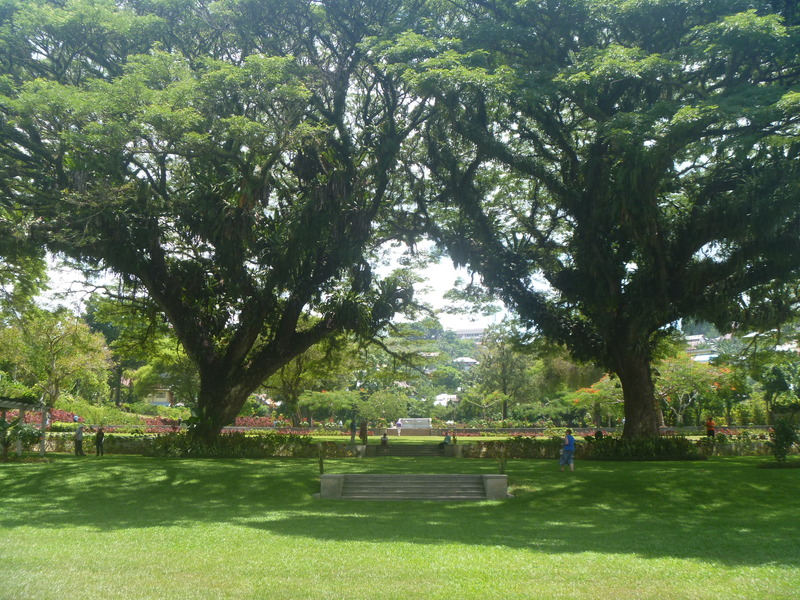 Tropical trees and shrubs are planted throughout the cemetery and around its boundaries. There are 1,956 Commonwealth burials of the 1939-1945 war here,357 of these are unidentified. There are 186 Dutch burials here, 15 being unidentified, and 1 American Airman. The American airman was killed with 7 Australian airmen in July 1945; all were buried in a collective grave in Plot 28. This entry was posted in Uncategorized and tagged ambon, ambon cemetary, commonwealth war graves, gull force, tantui. Bookmark the permalink. My two visits there were very memorable, Ian, one of them with you. Anger at the slaughter of so many young men was the prime emotion, but at the same time I have to acknowledge it is a very beautiful resting place for them, and so well maintained. I too was moved by this cemetery, and liked the care that the local Ambonese men took of it. Yes Bob. Since we start from Ambon then this is one of the first stops. My great uncle William Wansbury (RAF) is buried there. Hi Ian, thank for your quick reply. I have been on the CWG website and I have the location of the grave, I also have some info on Ambon. It has been suggested to me that it is not advisable to travel to Ambon alone so I am hoping to find out if there is a group traveling together to Ambon which I could join. I have written to the embassy in Jakarta and to the CWG but have had no luck. My son and I are also interested in visiting the war cemetery as my uncle, Gordon Jones, is buried there. Haven’t worked out how to do it yet, but thinking later this year. A group would be preferable. Gordon, If you can contact the Gullforce group in Australia they travel every year to Ambon, usually for Anzac Day.